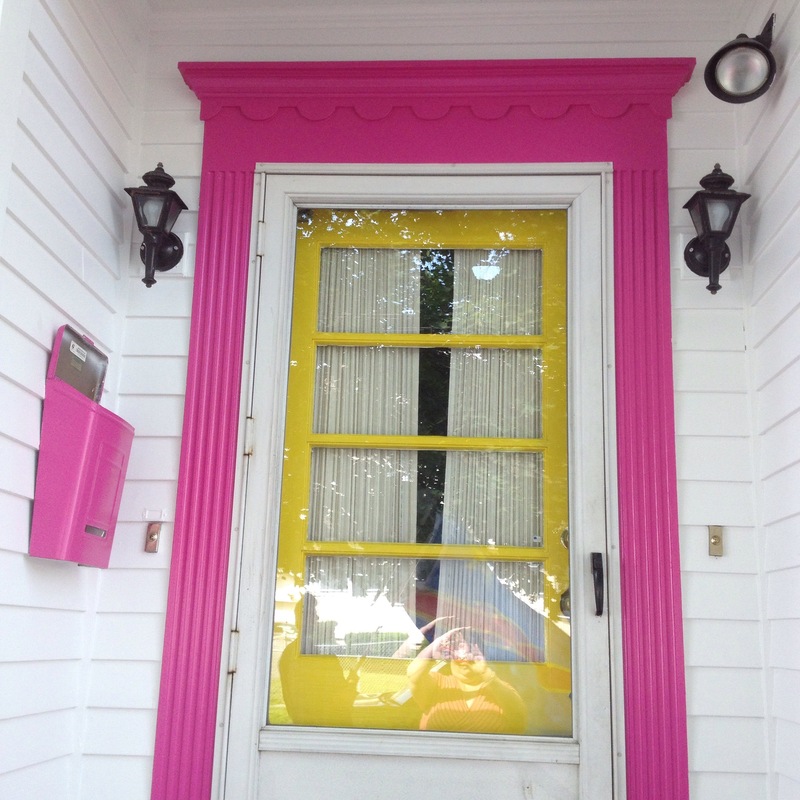 My husband and I decided to get our house painted this summer. We live in an old Victorian, and the paint was all peeling and chippy, so it was time. 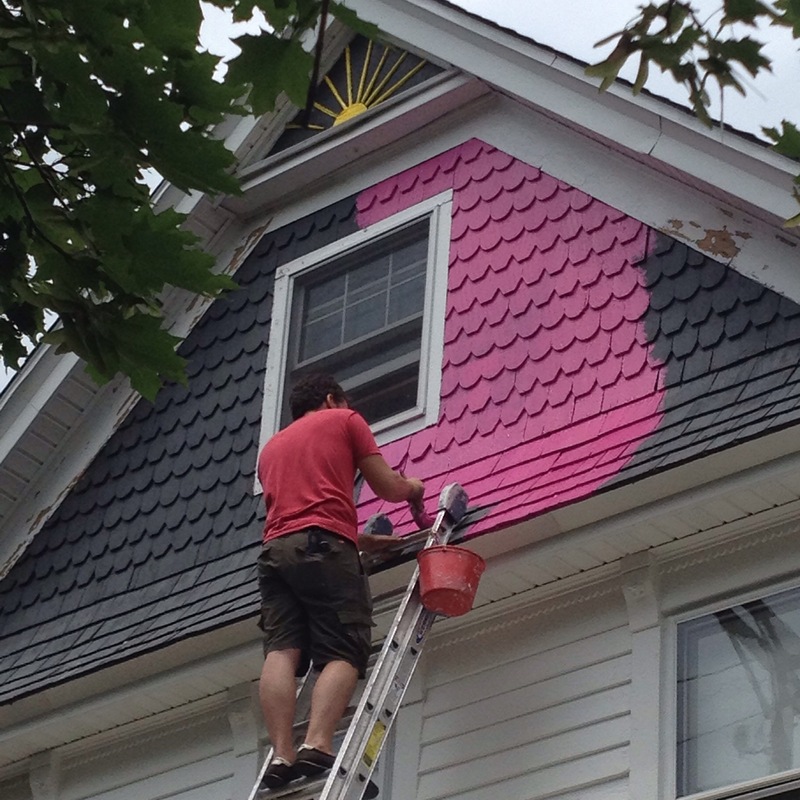 We also had these shakes at the top of the house that were black and we wanted them a brighter color. We got lucky in that the painter we ended up going with was amazing and trusted what I picked for the shakes color and the door color – unlike the other painters we had in for estimates. Seriously, I’ve spent so much time with our painters in the last couple weeks that they are my two new bffs. That’s the old black, that had faded to grey. 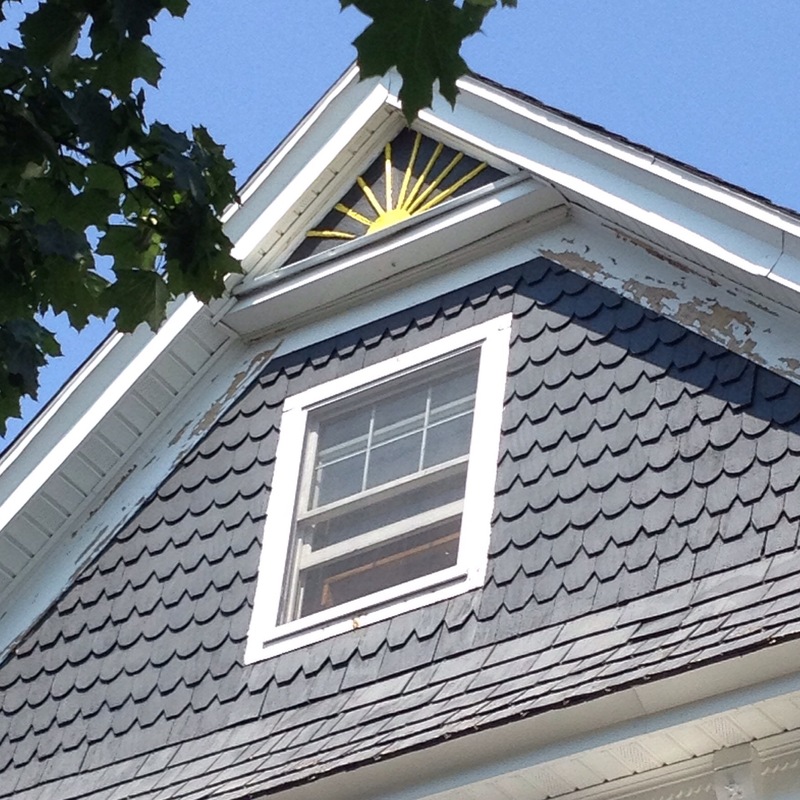 The painter noticed the sun detail and suggested we paint it yellow – awesome, right? That’s the awesome painter, putting on “hot lips,” on the shakes. My front door. I’m so in love with this! I can’t wait to paint the inside of the house now! !